Health insurance is something that can help protect self-employed people when they are unable to work. However, the rules on claiming it back against your tax can be confusing. Group health insurance is generally an allowable expense, but if you have a private policy, you should seek advice to find out whether your specific insurance is tax deductible. When you are self-employed, you become responsible for your own tax affairs. This means you are the one who has to sort out your obligations for all of your undertakings, including making sure you are paying the right level of tax and national insurance. Being self-employed also means that you are able to claim for certain expenses. Many self-employed people are uncertain as to what they are actually allowed to claim for - for example, it isn’t always entirely clear whether health insurance is an allowable tax deduction. If you are self-employed then you are probably aware that there are ‘allowable’ and ‘unallowable’ expenses that you are allowed to claim for. As a general rule, allowable expenses are those that are necessary or of benefit to the business. For example, maintenance costs or the cost of premises insurance are definitely allowable. Fuel costs associated with the business and most costs relating to any employees you might have are also allowable. 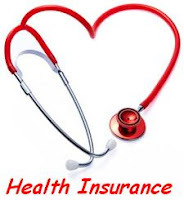 However, health insurance is not usually a cost that you can claim back. This is largely because if you are self-employed and take out a health insurance policy, this is something that only benefits you and so could be seen as a personal expense rather than one that is necessary for your business. However, if you have got any employees and you choose to take out a group health policy that benefits them as well as yourself as the owner and/or director of the business, this is something that will usually count as an allowable business expense. This means that the issue of health insurance in terms of tax deductions for self-employed people can sometimes be complicated, so it is worth speaking to a tax or insurance professional to get a clearer view of exactly what you will be able to claim for against your tax. For example, some business insurance policies come with a form of health insurance in case you are unable to work for a period of time. This isn’t necessarily what we would call a ‘typical’ health insurance policy, but it would provide you with some cover and is more likely to be allowable as a business expense. The issue of health insurance for self-employed people is definitely an important one, particularly for those people who have no employees and no one else who can take on their work if they are ill. Research has found that at least half of self-employed people in the UK don’t currently have income insurance, critical illness insurance or private medical insurance – all of which could help to protect you and the business if you were unable to work for a time. Also, research has also found that around 55% of self-employed people don’t have anyone else who could do their work on their behalf in the event of them being ill. As all self-employed people know, not being able to work means that you don’t get paid and could lead to you losing clients, so this is definitely an issue that merits consideration. In the UK, private medical insurance is not a requirement due to the existence of the NHS, but it is still an option and arguably is more useful for self-employed people than most. Overall, if you have got a private health insurance policy, it is unlikely you will be able to claim it back against your tax. However, some medical insurance expenses are allowed depending on the form they take and who they are for - if they benefit any employees you may have, you are much more likely to be able to claim it as an expense. This means it’s definitely worth seeking advice from a professional on exactly what you are able to claim to make sure everything is in order.